Wytham Woods was bequeathed to the University of Oxford in 1942/3 by Colonel Raymond ffennell and his wife Hope. Raymond originally had the name of Schumacher until he was granted permission from George V to change it during the course of the First World War. You may expand the sections below to discover more about the ffennells, their history, and their relationship with Wytham. The Schumacher family were a Jewish family living in mid-Germany since at least the 15th century. Raymond’s grandfather August (1794-1864) was a Privy Councillor in Brunswick, and fought with the ‘Black Brunswickers’ in the battle of Waterloo (1815) with Blucher. The Duke of Brunswick died at the battle of Quatre Bras, two days before Waterloo. His son was too young to be Duke, so the English Prince Regent (later George IV) became his protector until he was of age. Erwin, Raymond ffennell’s father was born in Arolsem, mid-Germany, along with a sister, Ida, and brother, Carl. 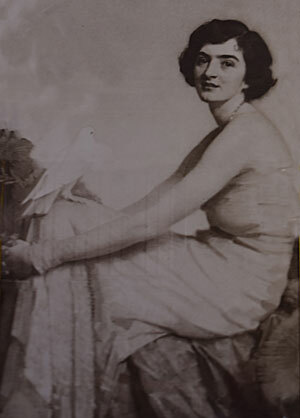 Ida Schumacher married Carl von Wagau, a member of a family who owned a very rich trading company which was German, but operated in Russia: an agent was based in every city and town – supplying tea from India, wool from England, sugar-cane from the West Indies, wood from Canada etc. – the ‘Amazon’ of their day. Erwin Schumacher came to London in the 1870s to set up a Wagau branch in England, and undertook an ‘Oath of Allegiance’ to the English crown in 1903. He married Lucy ffennell, who came from an Irish family living and working in London. They had six children: Erwin (Jr), Raymond, Gladys, Walter, Vera, and Elsa. Raymond went to school in Eastbourne and then Harrow. He spent a year in Russia learning the family business. He then went to South Africa in the early 1890s and joined ‘H.Eckstein & Company,’ who were involved in deep-level gold mining. 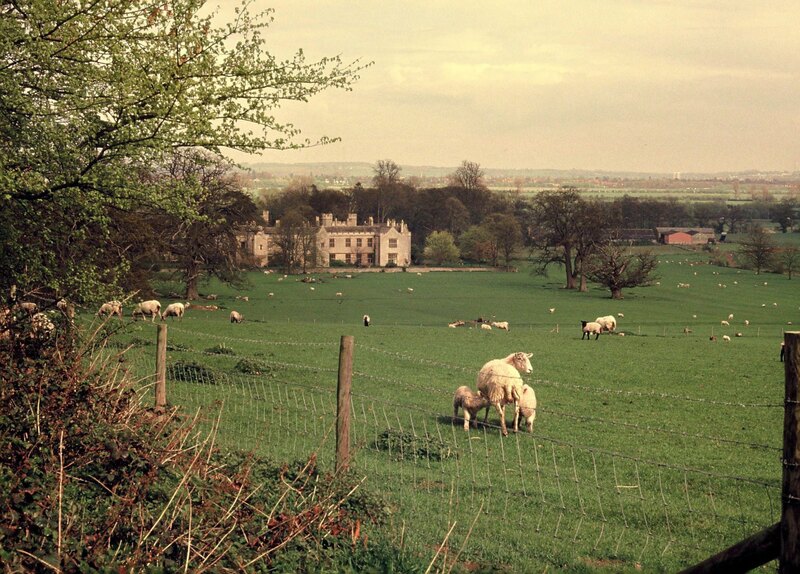 Raymond is considered to have been a good ‘Randlord’, ensuring that his employees had decent living conditions, comprising a decent house and a garden big enough to keep pigs. By 1910 ‘Central Mining & Investment Corporation’ had absorbed Eckstein and was the largest industrial company in South Africa. 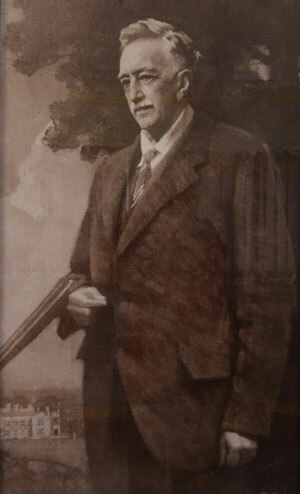 By 1912 Raymond was the senior director and ran the whole organisation in the absence of Sir Julius Werner and Lionel Phillips, who were the major stakeholders. In the 2nd Boer War 1899-1902, Raymond was a Captain in the Witwatersrand Rifles (part of the South African Army Reserve). Their job was to guard the gold-mines, and the explosives stored there, from attack by the Boers. Forty percent of all the gold in all of South Africa came from these gold-fields – and it is owing to this that the end of the name Witwatersrand became the national currency ‘Rand’ in 1961. Raymond later became a Major in the Transvaal Light Infantry, a Lt. Colonel ‘in the field’ and a Colonel for ceremonial occasions. Raymond and his wife Hope lived in Johannesburg with their daughter Hazel (born 1905), but by 1915 had decided to return to live in England. Their home in South Africa was given to a Trust, and is now a school for Special Needs children. In 1915, Raymond’s father Erwin died and Raymond and younger brother Walter took over the Wogau interests. Initially, the family bought a large flat in Grosvenor House (now part of the Russian embassy). However, he was friends with Sir Arthur Evans, another old Harrovian, well known for keeping in touch with old Harrow pupils. Evans lived at ‘Youlbury’ a large house on Boars Hill, and it must have been through him that Raymond came to know Wytham village. The London Gazette 8/11/1917 announced that Raymond and his brother Walter had officially changed their surname to ffennell, their mother’s maiden name, derived from the Irish O’Fionnghail. It is likely the family found the name Schumacher was unpopular in England, as it had been in South Africa. It is interesting to note that around this time, a bill was passed in Parliament forbidding Germanic names to be changed to British names. Perhaps this is why we know that the King specifically granted permission for this change. From 1916-18 Raymond was the Major in the Oxford University Officers Training Corps, attached to No.4 Officer Cadet Battalion. C.S. Lewis joined the battalion from 30/4/1917 until December 1917, so he was probably one of Raymond’s cadets. The trenches they trained in are still within Wytham Woods and are now regularly used for educational work. The ffennell family purchased the entire Wytham estate in 1920 from the Earl of Abingdon. As there were sitting-tenants the family did not live inside Wytham Abbey until 1926, instead living in the Chalet on the estate. Raymond ffennell bought the remains of Godstow Abbey in 1921 and sold it to the University with the proviso that the site should be looked after. From 1916 onwards the family had created a sumptuous lifestyle using very expensive and wonderfully furnished large marquees, entertaining the cream of British and foreign society to ‘life in the country.’ This continued in the Abbey in the 1930s and there are reports of Ribbentrop being possibly being present. This is possible as he was the German Ambassador for part of that period. The German leadership thought the way to conquer England was via the aristocracy. Raymond ffennell’s philosophy of helping less fortunate people continued in the Wytham area, just as he had done in Johannesburg. In 1926, the same year that the family moved into the Abbey, he visited West Oxford Infants School and asked the Head if her school would ‘like to come and play and have a picnic on the Wytham estate?’ Children from under-privileged backgrounds in East London initially went to the Hill End part of the estate. A little later, children from the very poor areas of Oxford visited, including St Thomas’s, St Ebbe’s and St. Giles schools. Many had not seen hardly any grass, let alone an estate of hundreds of acres. It is possible that the ffennell family were influenced by Kurt Hahn, who was Head of the Schule Schloss Salem school before the Second World War. He was a Jewish educationalist, who eventually was told to leave Hitler’s Germany. Coming to the UK, he started Gordonston School and was one of the pioneers of the Outward Bound movement. He was running the same sort of activities as the ffennells in Germany during the interwar period. Another ffennell idea was a one hour compulsory sleep after lunch, teachers included. Wooden boards were carried up the hill at Hill End for this purpose. Several agricultural buildings were converted at Hill End, including the Barn, Green and Red Dragon buildings to help when the weather was inclement. Also wellington boots were loaned in the winter and Dutch sabots (clogs) in the summer. Raymond was very keen that the Scouts and Girl Guides should visit the estate and throughout the 1930s the ‘Follies’ site was used, particularly by the Guides and sometimes the local Primary school. This second site was not far from Botley Lodge, accessible as the main A420 did not exist then, easy for the groups from West Oxford. The building had benches, trestle-tables, bowls and buckets. The Guides also used the ‘Guide Hut’ in Beanwood. The number of schools and children increased year by year and by 1938 there were about twenty schools sending classes regularly to eleven classrooms. A number of the classrooms were on the main Wytham estate and a smaller amount at the Hill End camp. Over 1,000 children aged six to fourteen visited weekly from April to the end of September. A lot of the children that visited the Wytham estate were ‘delicate’ and often poor, looking ‘pasty’ and pale and in danger of contracting T.B. At the time open-air treatment for pulmonary T.B. was the norm. The disease was a major killer until the advent of antibiotics during the latter stages of the Second World War. Raymond ffennell took an interest in the research and treatment of T.B. and similar illnesses, Oxford being the main research centre for antibiotics at the time. The Wytham estate must have been well thought of, as a girl from the East End of London sent a postcard to her parents ‘this must be a very holy place,’ and a young boy from Oxford commented ‘what I like best about Wytham is having my dinner in peace!’ If you go to the Pathé Film archive and enter ‘Outdoor School, Wytham 1939,’ you will see how things were and how they may have continued, had it not been for the war and the premature death of Hazel ffennell in 1939. On the 4th August 1942, the now childless Raymond and Hope entered into a Deed of Agreement with Oxford University for the Wytham estate, partly by Deed of Agreement and partly by gift. Some areas were then controlled by the University on the 11th February 1943. It specified that Hill End should continue to be a place where children could experience outdoor education. During the Second World War the site ran CCPR holidays (Central Council of PE) for women who worked in the munitions factories. Oxfordshire Scouts ran different camping holidays for children from badly-bombed cities, and Raymond was still enthusiastic about the Scouts being on the estate. At the start of the war, many children were evacuated from cities and the Wytham estate was a clearing station for these children. In 1941/2 Audrey Mclean wrote that in September 1939, they had been evacuated from Clapham: ‘We climbed a steep hill, to huts on a moor. Mr ffennell had built them for poor people. We had large sacks which were filled with straw, which became our mattresses. Next day we wandered through the mist in our plimsolls. Mr.ffennell gave us some clogs but none fitted me as my feet were too small.’ The Burns family were evacuated and stayed with the ffennell family at the Abbey for part of the war. Raymond taught the two eldest boys ju-jitsu and how to shoot. At this time the army also took over part of the Abbey and used Wytham Woods and grounds for some of their training. In c.1943 a bomb was dropped on the Hill End part of the estate as Dornier bombers attacked the aerodrome at RAF Stanton Harcourt. The story is that the bombers flew very low up the Eynsham Road, and lights had been left on in the High Dorm at Hill End. Thankfully only one one person suffered a broken-leg in the panic and there were no other casualties. For a couple of years Raymond was Captain of the Home Guard in Botley, but it seems he was forced to stop as some members were not in favour of a member of a German family commanding them. In 1943 ‘Oxford & Cambridge Scout Group’ stayed at the Green Dragon at Hill End. They used it as a base for a six week camp and 300 Scouts used it as home. In 1944 alone the Girl Guides held 34 camping sessions in Beanwood and the Oxford and Cambridge University Scout groups held a massive Scout camp for 500 Scouts from America, France, Canada, Czechoslavakia, Poland and Switzerland. By the time of his death in 1944 Colonel ffennell was treated like English gentry in Wytham Village, with villagers curtseying or tugging a forelock when meeting him in the street. The ffennells were the benefactors of the village. At Christmas, coal was delivered to every household in the village and the school children were taken to the pantomime in Oxford. Today, Wytham Woods and Wytham village are in regular contact with Simon and Lucinda ffennell. Simon, as the great-nephew of Raymond, unveiled the Blue Plaque in Wytham Woods, commemorating the ffennell family’s bequest of the estate to the University, and also the Blue Plaque at Hill End Outdoor Education Centre, which continues to run educational programmes, as Raymond wished. The Listener, Volume 85, No. 2200 (1971): 'The Wood', by Mick Rhodes. An overview of Wytham Woods and the pioneering ecological studies taking place there. Country Life (1932): 'Country Schools for Town Children', by Raymond ffennell. A description of the educational activities for school children supplied by Raymond ffennell at Wytham.